INOVI Technologies crosses another milestone towards progression by maintaining its unmatchable quality and customer service. And the Government Of Pakistan didn’t let it go unnoticed! Before jumping on to that let us have a brief introduction of INOVI Technologies. INOVI Technologies was incorporated in 1995 with an aim to provide quality products and services to its customers. Currently, they are the official partners of SONY & Huawei in Pakistan. The company adopted one of the finest business categories of SONY i.e Cyber-shot for amateur photographers.INOVI takes pride in earning the nationwide distribution of Sony VAIO-one of the key strategic business units. In 2013, they entered in one of the potential categories of electronics i.e. The Mobile phones & the Tablets. In addition to that, INOVI is actively involved in the franchised distribution of Multimedia Projectors, Professional Camcorders, DVD Players, RCR’s and Mezzo. Since the start, The Company offers a full range of this product to its end consumers and re-sellers. 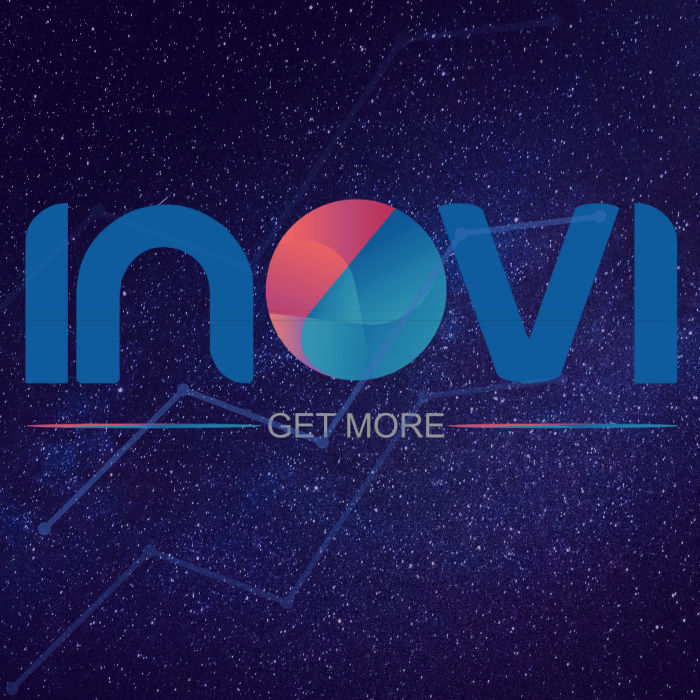 Inovi works upon the “Get More” philosophy. They aim to provide something more/ extra to their customers. From the employees, business partners till the end users, Inovi is always trying to create the difference that enables the feeling of getting more from the company & this is indeed the key to their success. 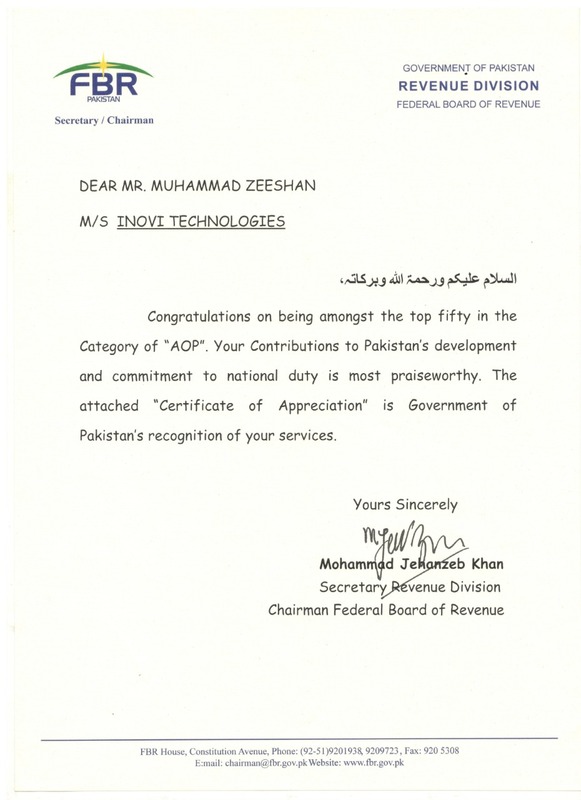 Inovi Technologies have been awarded a certificate of appreciation for being amongst the best 50 in the category of Aspect-Oriented Programming (AOP) by the government of Pakistan. 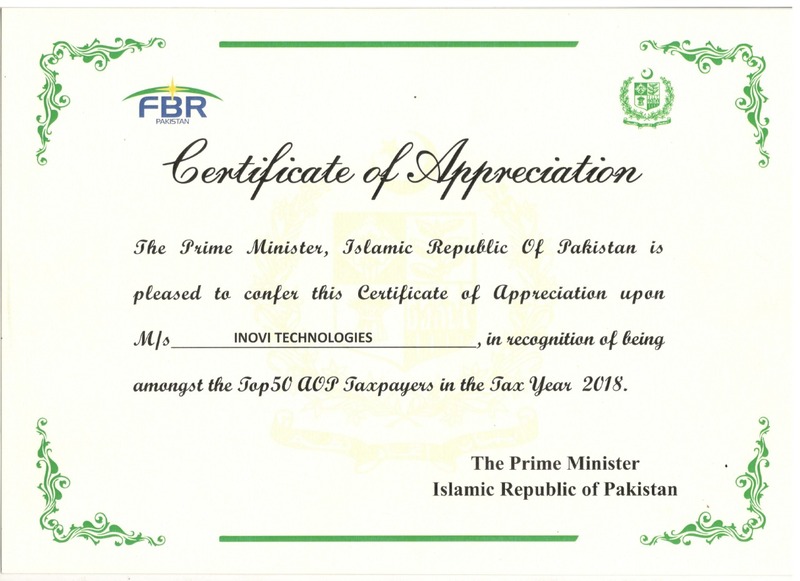 Inovi Technologies have been praised by Federal Board Of Revenue (FBR) for their contribution towards the development of the country and commitment to national duty. the Company on this great achievement and look forward to more of such news. A step taken towards the betterment of Pakistan as a nation is indeed appreciated and promoted. We hope that INOVI Technologies will continue to keep up its unique struggle towards excellence and provide us with the best of everything.